An inorganic lightweight insulation material was developed on the basis of CLC. The material has a density in the range of 120 to 150 kg/m3. For increased thermal performance the silica aerogel Quartzene® was incorporated into the mix. 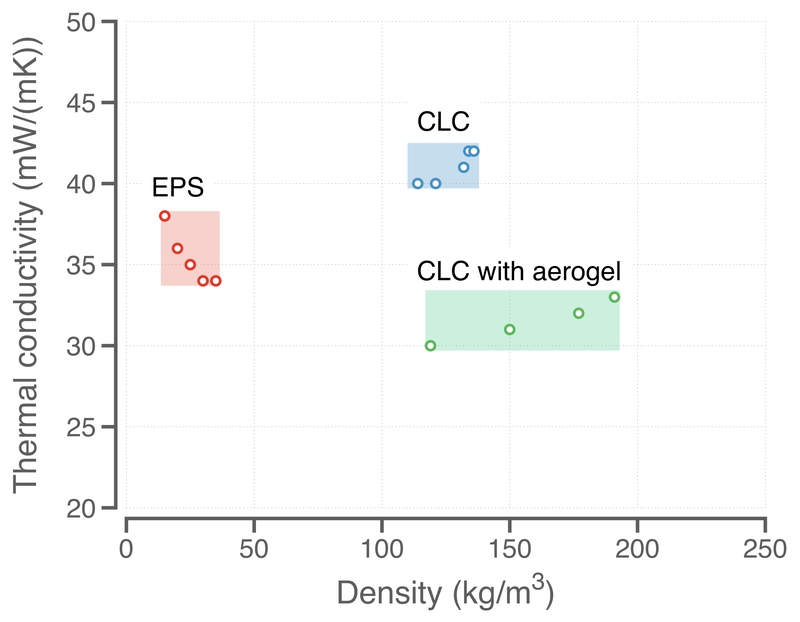 Compared to existing insulation materials the new CLC insulation is more sustainable (without aerogel), absolutely non-combustible (compared to EPS, PU insulation) and easy to produce in form of blocks, panels or casted directly into place. In particular the non-combustible nature of CLC insulation could be of interest for future applications in order to increase the fire safety in the built environment and reduce the risk of devastating fires in housing developments. 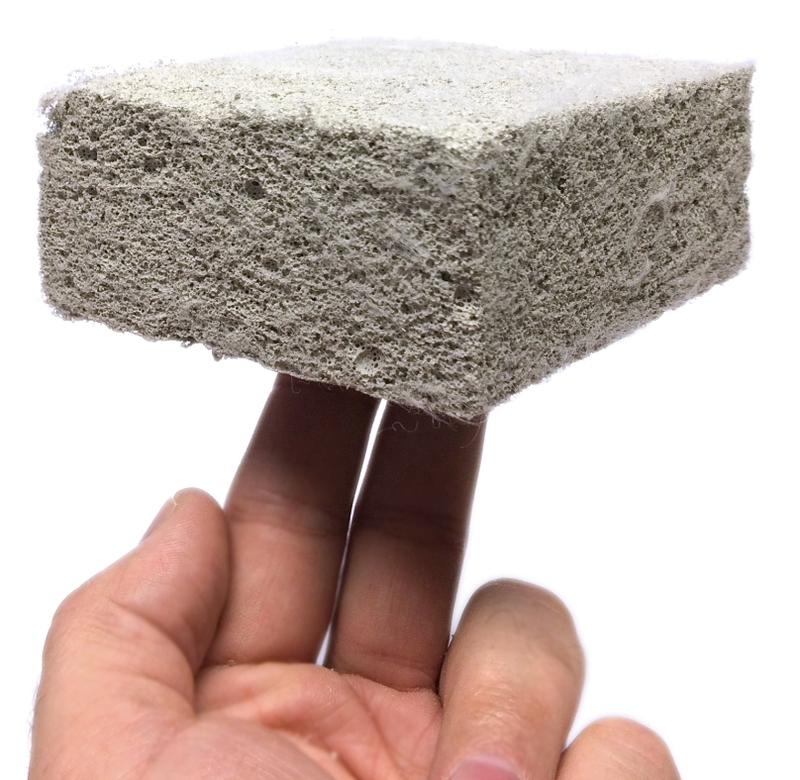 Though the new insulation was applied in sandwich elements other applications could also be possible, such as insulation panels or blocks, which can be used for renovation and refurbishment, as well as in-situ application of the foam concrete in new and existing buildings.